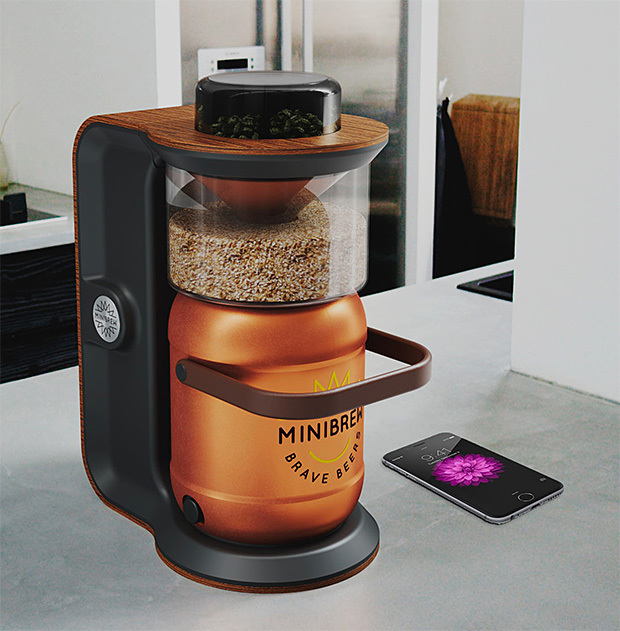 MiniBrew Makes It Super Easy To Make Beer At Home | OhGizmo! Making beer at home can be fun, but it’s also a fairly complex process that takes time and know how. But these days there are enough sensors and tiny processors on the market capable of handling these types of tasks for you. The MiniBrew automates the entire brewing experience, making 5-litre batches of beer with literally no involvement other than getting the machine started. There is very little info on the device, other than to say that it will use “ready-to-brew Ingredient Packs produced by renowned craft breweries from around the world”, and will output a “portable keg that is chilled and ready to tap.” It’s currently in development and will set you back a cool €1950 ($2,175USD) to own, once it becomes available in Q2 2016. But, no matter how you make it, it’s still BEER.